A 60’s Wigan band, T’Others, are holding a special one-off concert to raise money for The Brick on Friday 15th February. The ‘Show Your Love for The Brick’ concert is to be held at Aspull Royal British Legion in Wigan and is set to be an evening of music and dancing, with a meal of pasty and peas included. Some members of the band attended The Brick’s Gala Fundraiser in October, where they pledged to raise £1,000 towards The Brick’s target to raise money for our current premises, The BrickWorks. John Parker, Chair of Trustees at The Brick, said: ”We are delighted that T’Others are holding a special Valentines concert to not only show their love for The Brick but to also encourage others to do the same. “Every penny raised really does count and will help towards our goal to raise money for the BrickWorks. The Brick Works is an integral part of our charity as its aim is to give clients of The Brick a sense of purpose, some structure to their day, and to offer them training and employability skills. 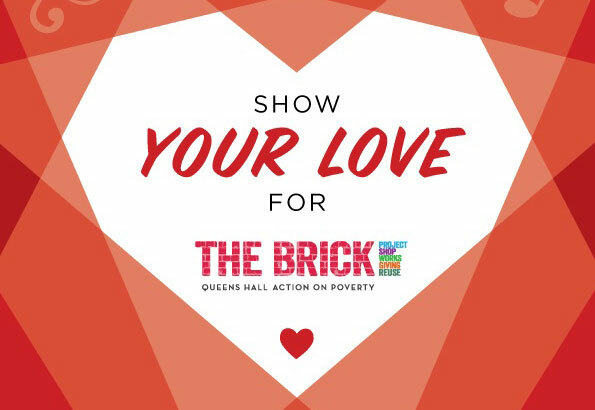 The ‘Show your Love for The Brick’ concert starts at 7.30pm and ends at 11.00pm. Tickets cost £10 each and there are just 100 tickets available. You can purchase tickets from The BrickWorks on Hodson Street, Wigan.